What is the best form of entity? It depends on the nature of the business, the sources of financing and the stakeholders of the business. Do I need any agreement for founders? The answer is generally yes, and the legal costs here will save future disputes. Shall I file IP protections? Yes, and we generally suggest in various jurisdictions as well. Do I need a legal counsel? Yes, no business is the same and online forms can create many issues down in the road. What I should do after setting up the entity? Prepare template documents for business dealings upfront. employee contracts, Find out if there are any patents, copyrights, or trademarks associated with the business, Require the current owner to sign a \u201cNot to Compete\u201d contract\n\nDo you have any other essential legal guidance for startups that you haven't already included in this survey?\nI will suggest any high-tech start-ups to consider registering IP rights and setting up offshore entities upfront in other countries to preserve the opportunities outside of the U.S."}" style="font-size: 15.6px; font-family: Arial; color: rgb(84, 94, 112);">What is the best way a small business owner can protect personal wealth and assets from business risks? Form the correct entity to shield legal risks. To set up a framework and clean slate for future organic growth, financing or M&As. It helps to reduce the cost later on in disputes with customers or vendors, business partners, or future investors or buyers. Have a to-do list and time table to set up the company properly, including various templates for its operation. All depends on the contribution and future expectation. I will suggest any high-tech start-ups to consider registering IP rights and setting up offshore entities upfront in other countries to preserve the opportunities outside of the U.S.
Ning graduated from Georgetown law school and also has a MBA degree. 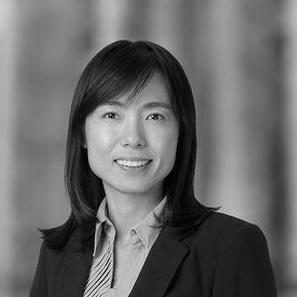 Her practice areas include merger and acquisition and corporate law, with a particular emphasis on cross-border investment. She and her partners help with start-up companies to properly handle all legal matter related to their business. Susan's prior experience includes 9 years at a top international law firm. She lives in Sunnyvale.